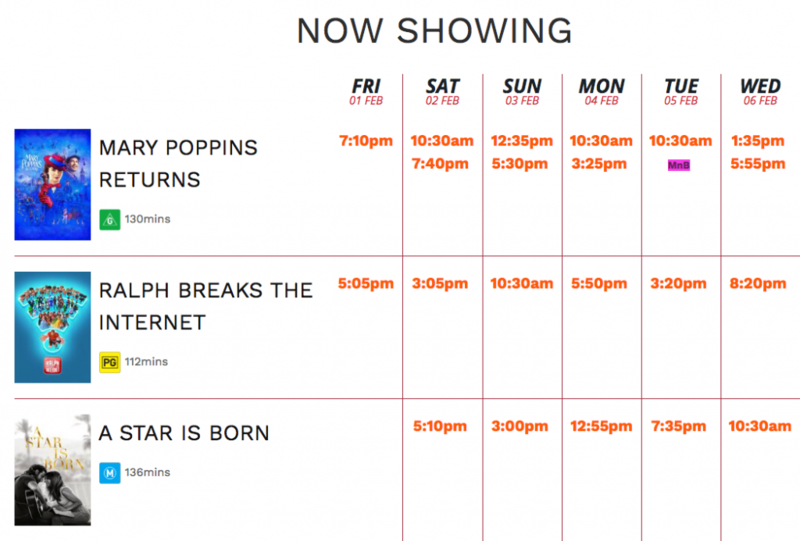 Keeping your website up to date is a laborious task we go through every week as a Small Cinema Owner. WordPress is the most common CMS (Content management Tool) used in the creation of websites. As such, it is the target platform for this tool. D-Cine.net hopes this tool will allow you to better spend your time then to manually update a website every week. Examples of the base code we expect to use for this tool can be seen on the Forbes Cinema Website. However, this is only one looks and feel. There are 2, and more will be developed. The main question here is, how does your session data get into the website. That is the missing piece right now and some development will need to be done to ensure there is not doubling up of process. If you are interested in this tool, please get back to us with your interest and details on exactly what POS system or other tools you use to feed your session time data into any computerised system.